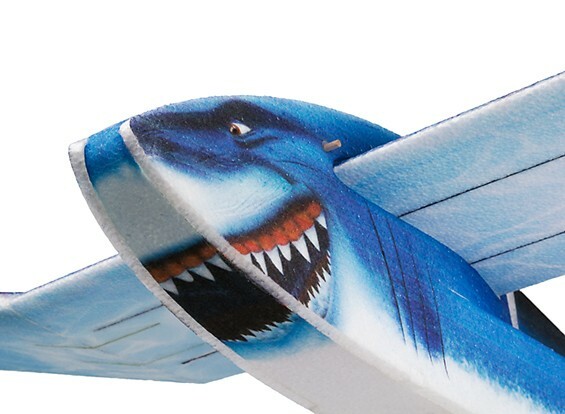 Who said flying had to be serious. 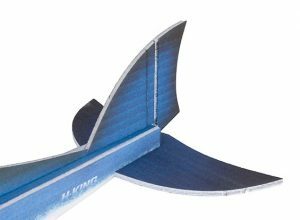 The Glue-N-Go Series EPP shark is a great way to get kids into the hobby or for those big kids at heart. This Shark is made from tough, painted EPP foam and will provide a big presence (1420mm) in the air. 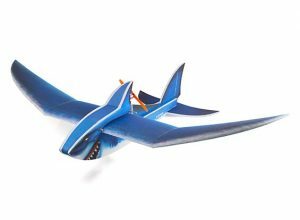 The easy to follow instructions provide a step by step build process that will have you flying in no time. Just add the electronics of your choice. 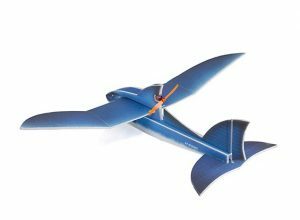 We suggest using a 2212-1100kv motor, 20A ESC, 8×4 propeller, 9g servos and a 3S 2200~2800mAh battery and your usual radio gear. 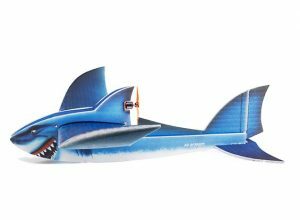 It’s time to get the Shark out of the water and jumping into the air. 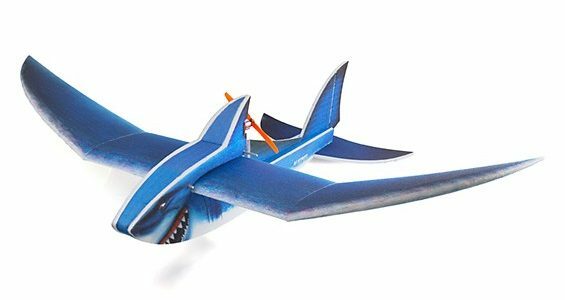 When I first tried my shark it was very unstable with a 2200 lipo up as far as it would go. 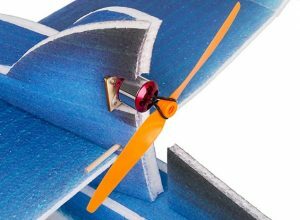 I cut the wing section off and moved it back 120mm to get the cg correct it can now be flown but under power it turns to the right tried changing the angle of the motor to correct it but this did not work. It is flying great in the video can you advise me as to the setup.